Dwaine Pretorius shone with bat and ball to save South Africa A’s blushes as they beat India A by two wickets in the triangular series opener on Wednesday. 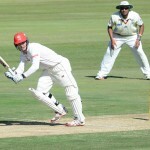 The Lions seek their third consecutive win when they host bottom-feeders the Cobras at Senwes Park in Potchefstroom on Friday. Dwaine Pretorius hopes he can establish himself as a ‘50-50’ all-rounder after his performance in the six-run loss to New Zealand on Wednesday. 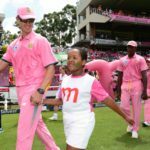 Watch the Proteas skittle Sri Lanka in a dominating bowling display bundling them out for 163 on Saturday at the Wanderers. Dwaine Pretorius was delighted with his Man of the Match efforts on his home ground in the Proteas’ series-clinching victory against Sri Lanka. Dwaine Pretorius expressed his delight at being called up to the Proteas squad after the injury of Dale Steyn. 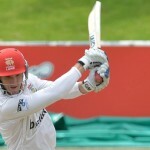 Lions all-rounder Dwaine Pretorius has been called up the Test squad as a replacement for the injured Dale Steyn. The Proteas bowling attack demolished Australia in the fourth ODI in Port Elizabeth on Sunday. 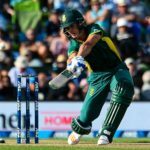 The uncapped Dwaine Pretorius to determined to challenge all-rounders Chris Morris and Wayne Parnell for a berth in South Africa’s ODI XI this month. 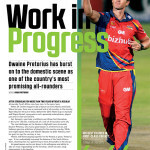 Dwaine Pretorius has burst on to the domestic scene as one of the country’s most promising all-rounders. 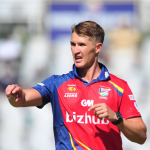 Highveld Lions all-rounder Dwaine Pretorius has been recognised as the most valuable player of the domestic season. Dwaine Pretorius enhanced his claim to higher honours by running up a superb 118 to help the Highveld Lions to 411-7 against the Titans. 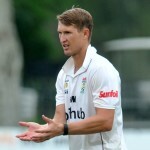 Dwaine Pretorius battled to a well-earned century and played a starring role in stopping the Cobras registering their first win of the Sunfoil Series in Paarl on Sunday.